Where is this wood carving? Where would you find this wood carving? Don't feel bad if you don't know. Even the city officials couldn't find it for many years. 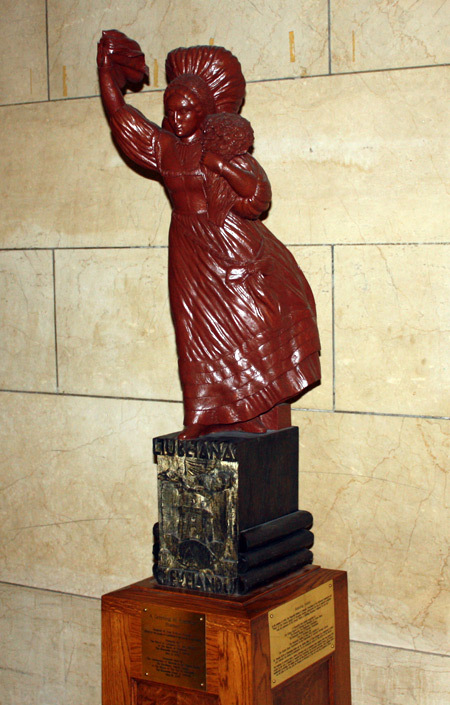 Former Slovenian Consul General, Zvone Zigon said, "It's in the shape of a Slovenian woman in a national costume, waving with a handkerchief in greetings. Now, we don't know if this is a greeting to Cleveland as a city� or to Slovenian immigrants here. That's up to us." 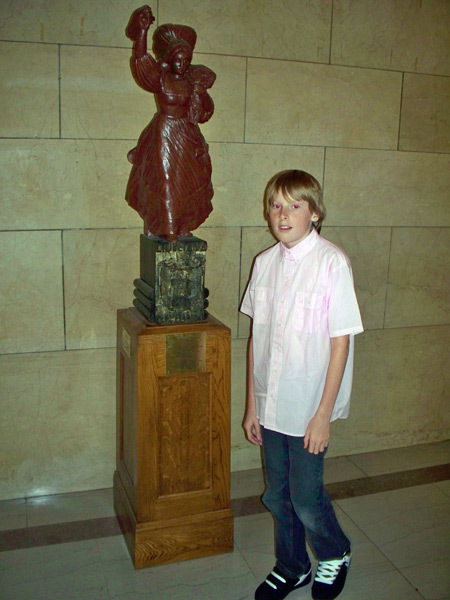 The statue spent time in various places in Cleveland City Hall. Mayor George Voinovich had it near his desk but Mayor Mike White sent it to storage in a sub-basement. 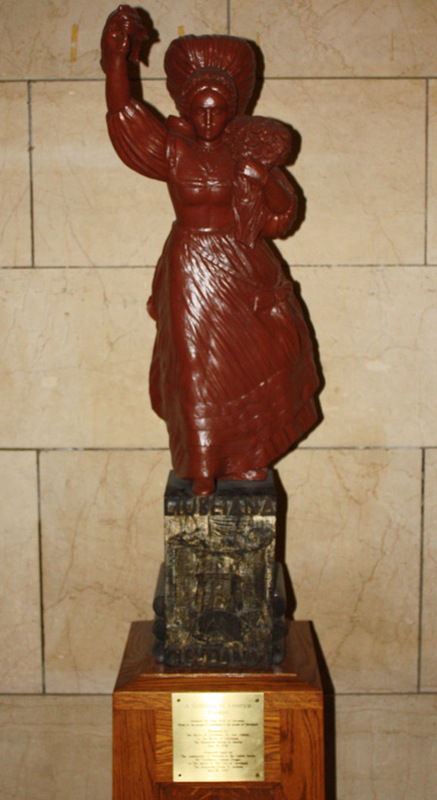 It now resides in the Rotunda of Cleveland City Hall near the Spirit of '76 painting. 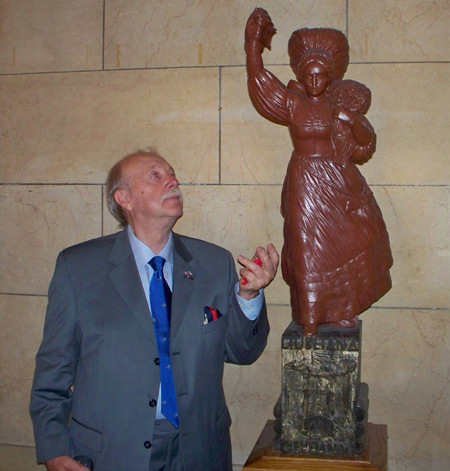 Watch Dr. August Pust tell the story of the Lady of Slovenia statue. He calls it the "soul mate of the Statue of Liberty".